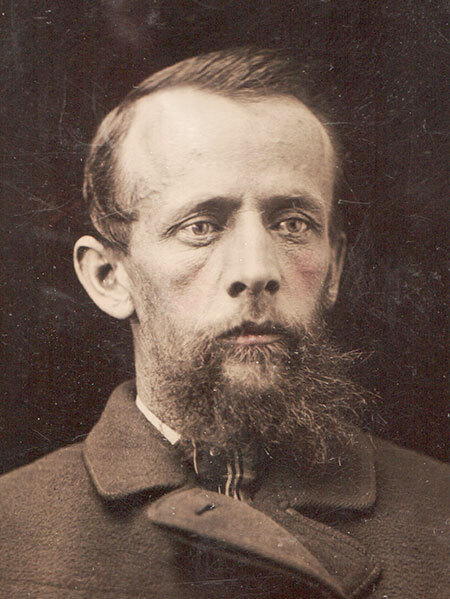 Born at Barnstable, Devonshire, England on 5 August 1835, son of John and Fanny Burgess, he was brought to Canada by his parents in 1842 and educated at Hamilton, Ontario. A veteran of the Fenian Raids of southern Ontario in the late 1860s, he practiced as an architect at Hamilton and Arnprior. In 1882, he moved to Regina, North West Territories [now Saskatchewan] and worked in construction, becoming one of the first architects in western Canada. He relocated to Winnipeg in 1884 where he was responsible for the construction of many early business blocks and government projects. He worked as a contractor and supervising architect, such as for Winnipeg’s Carnegie Library on William Avenue, retiring in 1906. On 26 December 1868, he married Ann Pettypiece (c1835-1914) at Arnprior, Ontario and they had two children: Mary Fanny Burgess (c1870-1949) and Thomas Ashton Burgess (1872-1955). He was a member of St. Luke’s Anglican Church. He died at his Winnipeg home, 107 Lewis Street, on 22 February 1925 and was buried in the St. John’s Cemetery. Ontario birth and marriage registrations, Ancestry. “Carnegie Library,” Winnipeg Tribune, 13 August 1903, page 2. Obituary [Anne Burgess], Manitoba Free Press, 25 November 1914, page 3. “Veteran of Fenian Raids dies, aged 89,” Manitoba Free Press, 24 February 1925, page 4. “Fenian veteran is laid to rest,” Winnipeg Tribune, 25 February 1925, page 5. Death registration [Thomas A. Burgess], British Columbia Vital Statistics.